A first- hand EXPERIENCE of a buzzing journalistic office has given me a real insight into the life of a written journalist – hectic and busy! 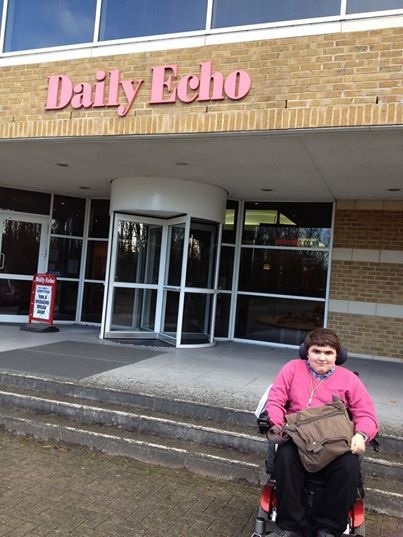 Over the past few weeks I have been spending time on the Southern Daily Echo News offices, giving me a fantastic eye-opener into the field of work that I aspire to be in – journalism. Work experience is the best way of understanding the world of work through the opportunities you can gain at a young age, for me getting paid is a secondary issue. Whether it has been interviewing the citizens of Southampton on the high-street about their opinions on current affairs or writing about various upcoming community events nothing has been dull. Every minute has been pretty much a rollercoaster; if I was pro-active enough to ask for tasks to be occupied with something would always come up. “Work experience in journalism is vital, no-one truly understands how the newsroom works until they see it at work. “For me starting out I had no idea how it worked and what it took to write a story. I have really enjoyed understanding the important parts of journalism, like Michael, and breathing the atmosphere of the office, coming at a really frantic time has been a blessing in disguise. I now understand that for a full to the brim newspaper to be published on a daily basis a lot has to be completed by the individual reporters. Approaching the people of Southampton to get opinions for a survey on Scotland gaining independence was tricky to say the least, but one of the difficulties of the job. Communicating with the public has been enjoyable though; answering the phone, calling people to gain quotes or reading out the sixty second headlines for the website. News is news and we cannot control it, which I like, in this job no two days are ever the same. The recent story of Ashya King who was taken from Southampton General Hospital by his parents or the death of Pennie Davis in the New Forest were sudden events but had to be reported on immediately. There is pressure, however I believe it is pressure you can thrive from. When you write an article there is always so much to consider, such as the style and not being assumptive (the fatal error a journalist can make). Bearing the reader in mind is the most important advice I have been given, you are the one who is going to interest the reader at the end of the day. On top of the experience I had on the Daily Echo Sports desk back in February this year, I have not changed my mind about the industry I want to go into. If I had, however, this would have not been a bad thing as that is the beauty of work experience.